Misty was a bit of a midget at only 430mm but she was very independent. 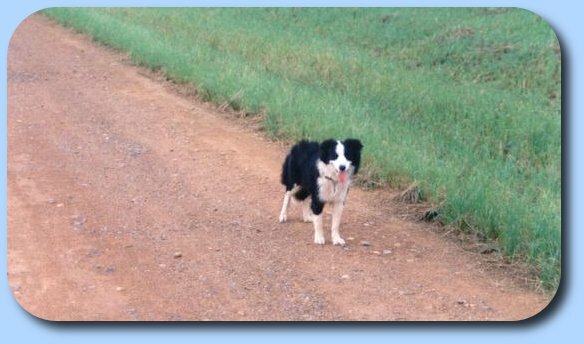 Pictured at only 7 months old, she was ready to herd anything and take to the stock, but she was a bit young to let her loose with anything too big. Misty was more petite than some of the pack and a great little agility girl. She was also the fastest agility dog in the area, but prefered to fly rather than walk - so getting those colours was always a bit of a problem. Still waiting for the rest of that AD title - but she found Jumping Dog more to her liking. 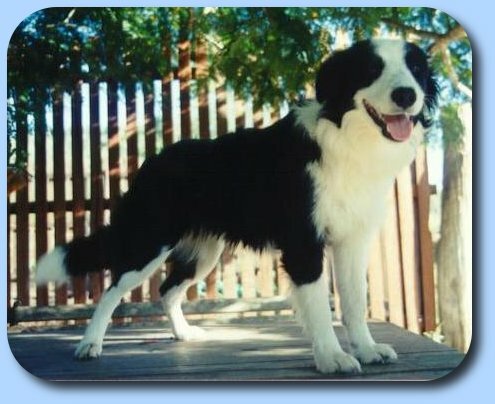 Misty died at just 8 years of age, possibly of snakebite. See Misty at Work for more photos. 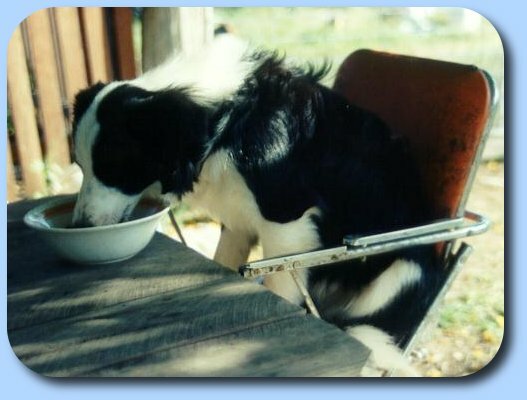 She always loved her high-chair, and thought if it is good enough for the human kids, then it should be alright for her. Misty always seemed like a little dog in a big world, but there was more than met the eye.